I just started a running program 8 days ago. 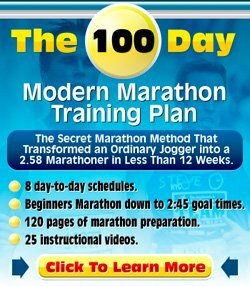 With this program, you upgrade your run/walk each week. I don't know what made me do it, but I begrudgingly went upstairs, squeezed myself into the sports bra of the millennium (and the other appropriate acoutrement) and headed out the door. I just couldn't let myself down. My head hurt. My heart was elsewhere. I wondered if my feet would even move for me. About two minutes into my "brisk walk" warm-up, the sun disappeared. A thick blue-gray sky filled with dense clouds covered me. I am incredibly pale, so this was a welcome event. Suddenly the temperature dropped what felt like five degrees. I prefer cooler weather, so I was pleased with this quick change, as well. With my warm-up complete, I turned the corner to head down the sidewalk to start my run. That is when it hit. Wind. Dried, crispy leaves all around. Dirt tossed about as high as my eyes (and my mouth). The clouds grew darker and the wind barreled down on me. I am sure I compromised my form, but I had to turn my head down a bit to prevent any more dirt and other such undesirables from entering my eyes, nose and mouth. I thought, "Once I get to my next turn, I won't be running against the wind anymore and this will be a bit easier." I start the walking portion and head to the next turn. The next turn begins my next running period. I eagerly turn the corner knowing that the wind will no longer be against me. I turn the corner and find that the wind WAS against me, AGAIN! I don't know what happened. But, the winds of change were upon me with a vengeance. I swatted branches away from my face and jumped over large pieces of debris. Then the thunder started taunting me, as well. As if a face full of dirt and leaves and wind wasn't enough. I wondered what I would do if it started to rain on me. The only answer I had was, "Keep running." I even laughed a bit and reminded myself that only the Wicked Witch of the East melts with water. It was then that I looked down at my watch. I was over halfway finished with this run/walk. And, I wasn't even ready to stop. I felt so proud that a girl that normally prefers air-conditioning and an exercise DVD to the outdoors and sun was actually enjoying herself running outside with a head full of muck. It never rained on me. Lightning never struck. And, I went to bed that night fully satisfied with my continued commitment to add years to my life so I can see more years of my daughters' life. Thank you so much for your contribution to my site. It is such a recognisable story for every runner. There are so many times I do not feel like getting out of the door. Doing it anyway and realising afterwards how great this thing called running makes you feel is all part of being a runner.